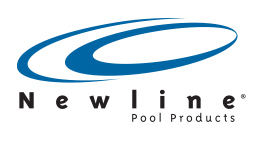 Below is a short list of a few of our Supporting and Stocking Distributors. Our Dealers are encouraged to purchase through their preferred Distributor, through their local Distribution Center or Direct at inSPAration. As our valued Distributor partners, inSPAration is committed to helping you achieve everything your business needs to satisfy your customer. 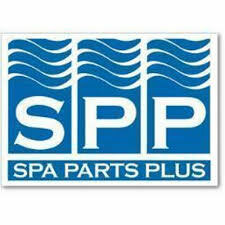 In order to best accommodate our Distributor partners, inSPAration has continued to improve and grow our product lines. By adding value to our products for the end consumer, inSPAration continues to grow the brand and thus increase sales for our Distributor partners. Below is a short list of supporting Distributors that carry inSPAration as a stock item. With our extensive product lines we cover everything your customer needs. With a variety of fragrances, product lines, and packaging we have something to appeal to every demographic. From our ever so popular traditional inSPAration Spa and Bath Fragrance line, to our herbal Wellness Aromatherapy line. We have enhanced our top 24 inSPAration liquids with an Rx formula. The same top 24 inSPAration fragrances now come in a 19oz Rx crystal. Seasonal Holiday fragrances in 9oz and in our 1/2 oz pillow packets. HydroTherepies Sport Rx crystals fit the need for the active lifestyle. In a crystal or salt form we have created our Spa Pearls with its complementing elegant fragrances in a liquid form, the newest addition to our family, Liquid Pearl. Why partner with inSPAration? We have been the brand you have trusted for over 35 years. We have everything you need to service your customers. We are a one stop shop for all your Pool and Spa fragrances needs. We provide great customer service and competitive pricing. What else could you need? Calls us today and let us know how we can help you grow your business.